Napoli brushed Chievo aside with a straightforward 3-1 win at the Stadio Marc’Antonio Bentegodi on Sunday evening in Serie A and Carlo Ancelotti sprung a surprise by naming many of his strongest players. Despite falling between two crucial Europa League games with Arsenal, the Partenopei boss saw no reason to keep his players out of the XI in Verona and praised their efforts. 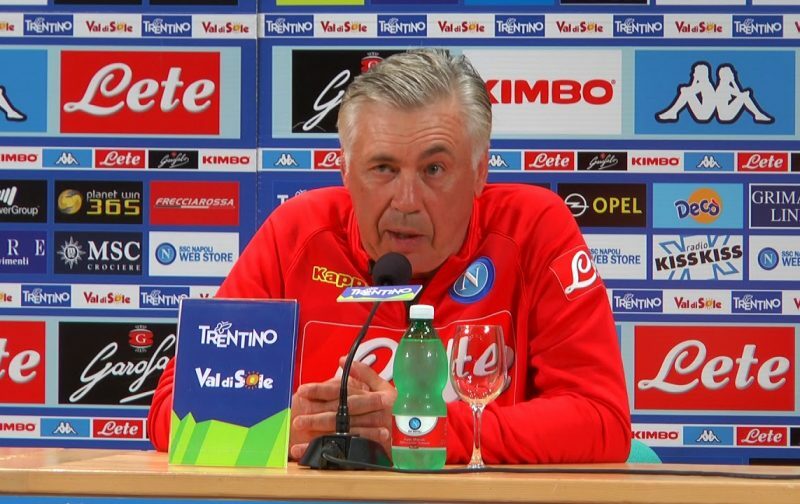 “It was a good show of our character,” Ancelotti told the journalists assembled in the pressroom at the Bentegodi. With many of his regulars playing on Thursday, Sunday and likely again on Thursday, some have suggested that fatigue will stand in their way against Arsenal, but the Partenopei boss refutes those claims. “Whoever says that this team has physical problems is living in another world,” he said. “The team is doing well physically, the problems we had in recent matches hasn’t been related to our condition. Dries Mertens, Lorenzo Insigne and Arkadiusz Milik all started in Verona and Ancelotti hasn’t ruled out the same happening on Thursday. “We’ll have to attack but we need to be intelligent.